What is Sisters for Financial Independence? We are sisters documenting and sharing lessons learned on the journey to Financial Independence. Join our community of women and share your story. Sisters for Financial Independence is the central resource for women striving to build wealth for financial freedom. We are Catherine and Anna. 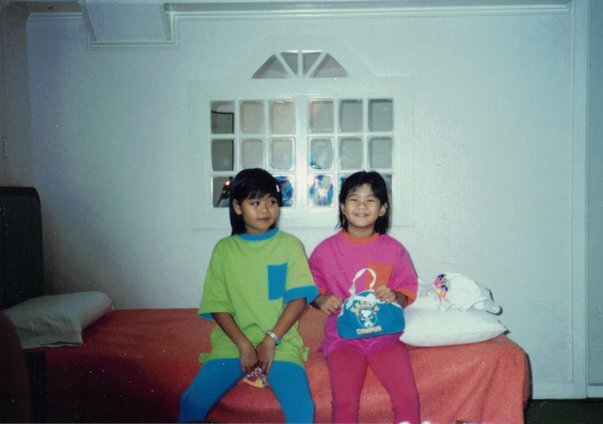 We emigrated from the Philippines when we were 9 and 8 respectively. We followed the traditional path. Catherine completed a B.A in Economics and IT and an M.S. in Information Management and ended up working in IT and adtech. She is currently founder of The Do Something Project, a media site dedicated to sustainable living. Anna completed a B.S. in Accountancy and obtained her CPA. She is currently a Controller at a real-estate firm. Awaiting our flight from the Philippines to the United States. For us, the traditional path included thousands of student loans, credit card debt, a general lack of money management, and a period of time living from paycheck to paycheck. Thanks to the example of our mother, an immigrant herself, we started learning more about how we can truly make money work for us and follow a journey towards financial independence. In these pages, we will offer our stories and the steps we made to start that journey. It has not been perfect, but we started by shifting our mindset. Who says we have to retire at 65? Why can't it be sooner? We will offer other women a chance to share their stories as well. Our sister Elaine, who is 12 years younger will join in on the conversation as she provides insight on finances as a college student. Our goal is to start a more authentic conversation regarding women and money. Strange that even in 2018 this is still necessary, but it's now more important than ever. Sisters for Financial Independence isn't just Catherine and Anna, it is all of us who identify ourselves as sisters pursuing something greater than money. At Sisters for Financial Independence, we will focus on strategies to create a secure future for ourselves and our family so that we can do the things we want to do. We are told to dream, but we are rarely told how to build the scaffolds to reach that dream. We hope do that here: one story, one lesson, one post at time.